Page 2 - When did each Test playing nation get their first ever innings victory? West Indies registered their first ever innings victory in a home series in 1934-35 against England in their 19th Test. 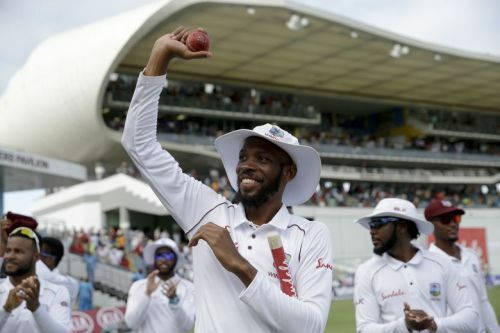 Going into the last Test of a four-match series, the series was locked at 1-1 as West Indies looked to get their first ever series victory. West Indies put on a mammoth total on the board, with the help of a brilliant 270* from George Headley, finally declaring the innings at 535/7. In response, England managed to reach 271, courtesy a knock of 126 by Les Ames. The second innings was even worse for England as they were bundled out for a paltry 103. West Indies achieved their first ever innings victory and also registered their first series victory. Sri Lanka registered their first innings victory in their 67th Test in Colombo in 1996, which was Zimbabwe's first ever Test in the island nation. Batting first, Sri Lanka recovered from 128/5 to 349, courtesy a 142-run stand between Ranatunga and Kaluwitharana. In reply, Zimbabwe skittled out for 145. In the second innings, Muralitharan returned with figures 5/33 as Zimbabwe were all out for 127. Sri Lanka won by an innings and 77 runs.